Sorry this event has now expired. But please check out other great events from the best of Hastings. The UK’s longest running Musical Theatre Concert Tour features past principal performers from Les Miserables. Delivering over two hours of the best of Broadway and the West End, and of course ending with a stunning ﬁnale from Les Mis. The concert features David Fawcett (Valjean) Andy Reiss ( Enjolras & Resident Director for the National Tour of Les Miserables) Katie Leeming (Eponine) and Poppy Tierney (Cosette), together with a live band who capture the feel of the original orchestrations of the chosen musicals. To this day every musical note is still played and sung live – very rare indeed. 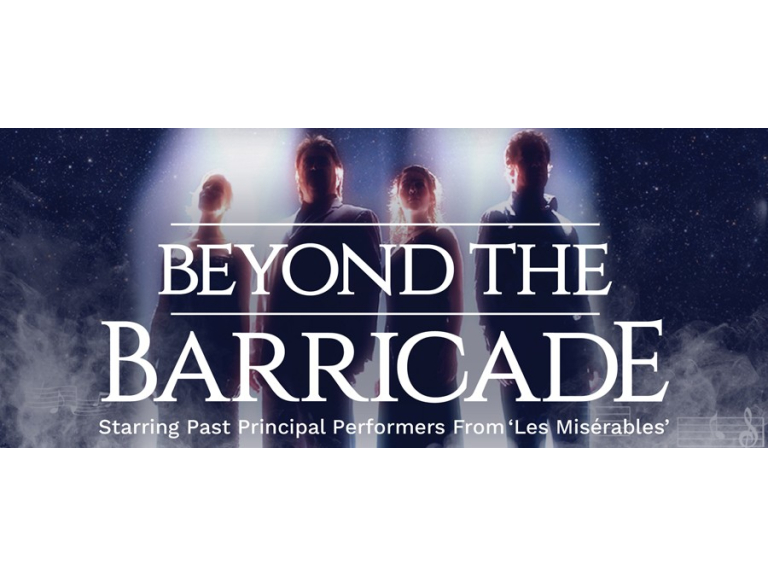 Beyond the Barricade gives musical theatre songs a bold concert format treatment – but with the conviction and intention to deliver the material as if the audience are watching the original performance. This incredible concert is now in its 19th successive year.